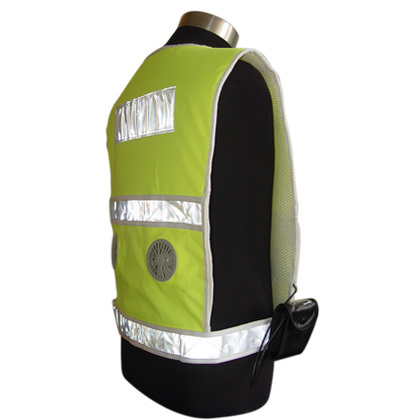 Police Air Cooling Vest is specializes designed for Police and Rescue department. 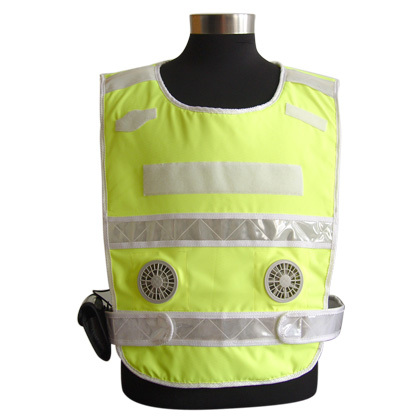 The vest used "ambient air" as coolant and circulated by 4pcs small battery operated fans. The fresh ambient air is distributed evenly and circulates around the body; carry away the warm air containing moisture from perspiration by the skin. 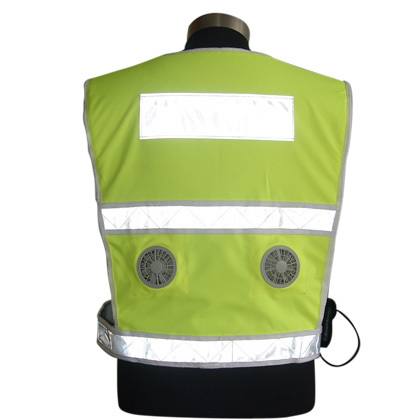 High Visible Fabric and Reflective tape uniform with 3D air-permeable material which is comfortable and easy don. Application: Police and security, Firefighter and rescue, Construction, Airport etc.